Jul. 8, 2017 3:30 p.m. 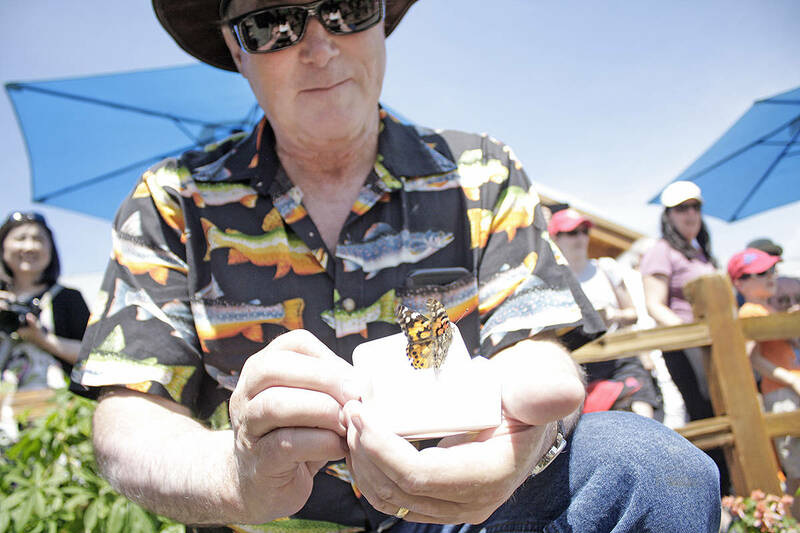 The fourth annual butterfly release for charity took place Saturday (July 8) afternoon at Krause Berry Farms at 6179 248 St. in Langley Township. This year, more butterflies were released by more participants than ever before. One estimate placed the number of participants at well over 1,000, with multiple family members releasing single butterflies in order to honour a loved one. 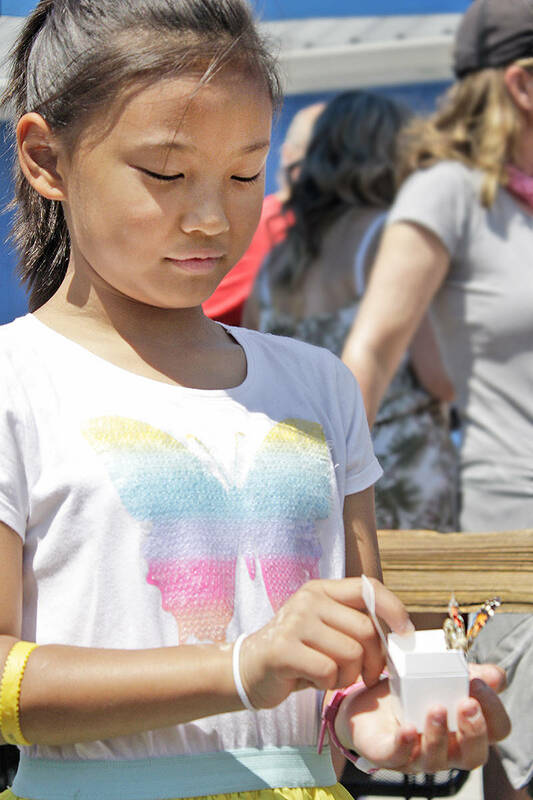 This year, there were 400 Painted Lady butterflies, which were sold at a cost of $25 each, with proceeds going to Langley Lodge and Langley Hospice Society. That was up from the previous year, when there were 350 Monarch butterflies released. 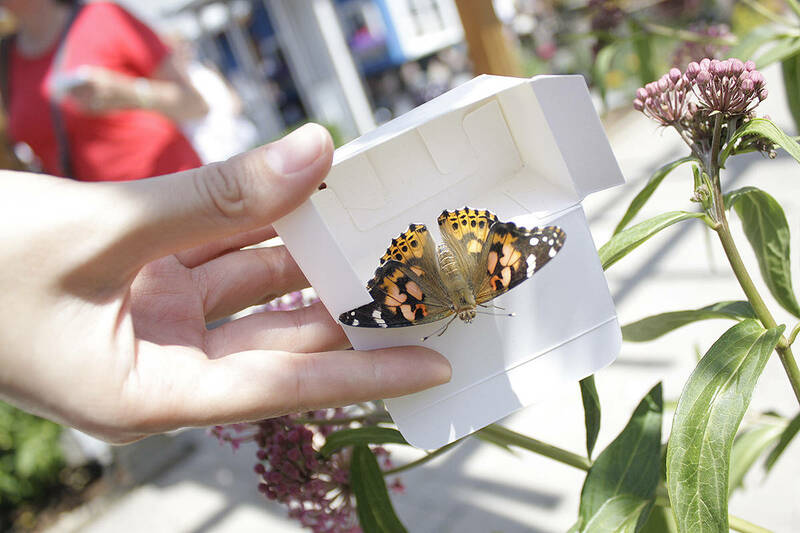 The butterflies arrived in chilled Styrofoam containers, at a temperature that would keep the butterflies dormant and protect them from the heat. “It’s not as cold as a fridge,” said Langley resident Kim Sutton, the local breeder who provided the butterflies. 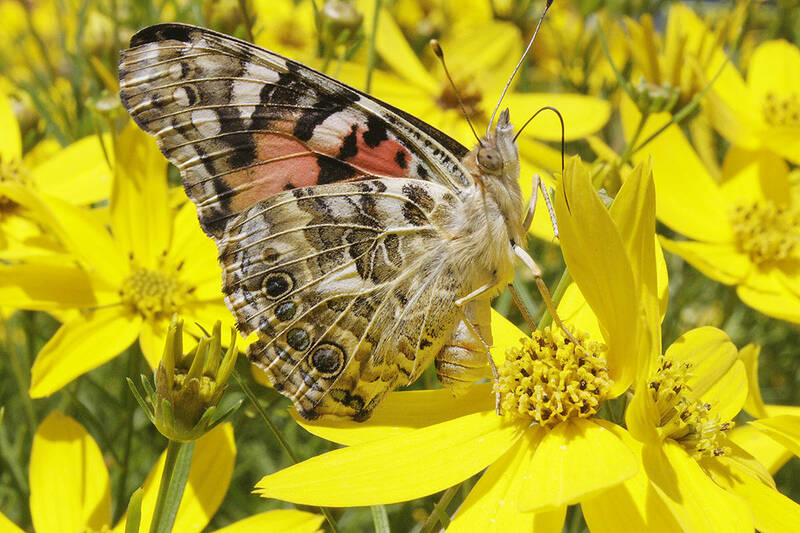 Sutton said the switch from Monarchs to Painted Ladies was required after the person who supplied her with Monarch butterflies decided to retire. The owners of Krause Berry Farms were among the participants. “I lost my first wife over 20 years ago and (the) hospice was there,” Alf Krause said. Sandee Krause said for this year’s event, the farm planted milkweed plants in the flower U-pick area where the butterfly release is held. The milkweed appeared to be working. 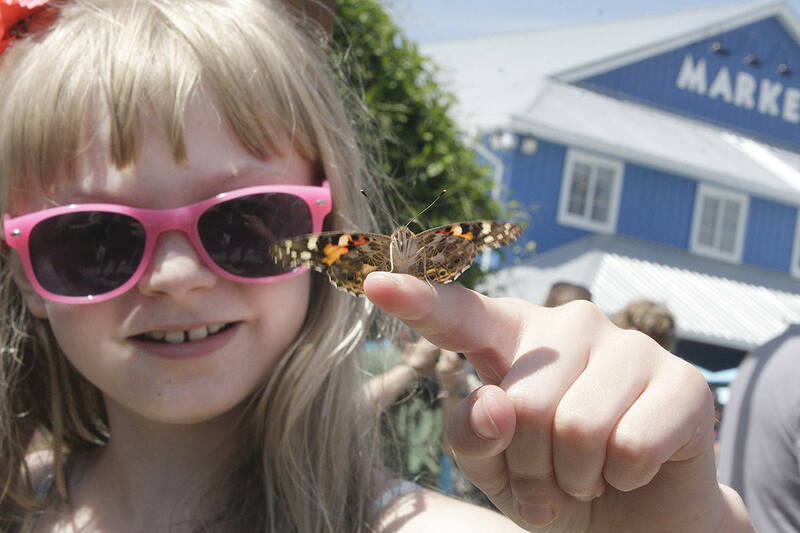 A delighted Addysen Horkai of Abbotsford ended up with a butterfly perched on her finger, where it stayed for several moments before fluttering off. Ten-year-old Mireia came all the way from Richmond to set a butterfly free in recognition of her grandparents and just managed to arrive in time to purchase what they believe was the very last available butterfly.